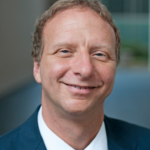 Mark Schwartz, the groundbreaking chief information officer at the U.S. Citizenship and Immigration Service in the Homeland Security Department is leaving government, according to Federal News Radio. This news comes close on the heels of a similar announcement by David Bray, CIO of the Federal Communications Commission, who is moving to take a job with the National Geospatial-Intelligence Agency. At USCIS, Schwartz served as a champion behind the government’s move to agile and DevOps methodology for software and systems development. He took over the troubled Electronic Immigration System (ELIS) and moved it out of the waterfall approach and into iterative development, allowing for vast improvement. Schwartz also was one of the first CIOs to successfully take the money out of legacy IT and apply it to modernized system. He called it the strangler pattern where development teams can build the software infrastructure on the fly using cloud systems, and users can access updated portions of the application almost immediately. This system would improve communication between users and developers as well, permitting quicker responses to customer feedback.